In this year’s GIZ/EZ session, the linkages and the connectivity between research and development was discussed. How much research is necessary, and what type of knowledge and partnerships are needed to reach the final beneficiaries? - was the main question that arose their symposium. Talking about the very interesting poster presentations, Tuesday's morning session started with a much striking symposium about the future of the organic market. The content of each presentation can be found online, that is why, here, I rather want to focus on the side questions and discussions that arose during the session. The first critical point at issue coming up was about the length of a stay for conducting a scientific study and, especially, for developing statements. The chair of the session, Prof. Christian Vogl (BOKU University), recommended that sometimes it is better to formulate hypotheses or research questions instead of concrete statements and conclusions, especially when scientists are conducting a short-term project. In fact, within a few weeks, it does not seem very realistic to get an in-depth insight of any subject. 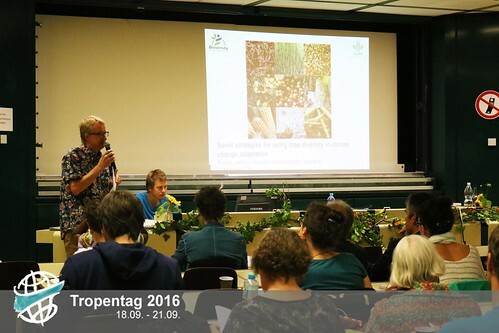 After the first two presentations, the topics shifted towards organic markets and cooperations. Pauline Deltour presented a study from Florianópolis, SC Brasil: “Short Supply Chains of Organic Food: Socioeconomic Emancipation of Family Farmers?”, showing that agricultural fairs (i.e. weekly farmer markets) present the most emancipatory (concerning high reciprocity and autonomy) potential to farmers, but, nevertheless, they are still too small. That is why the organic farmers in the region also need shops for selling their products in order to guarantee a permanency of income. 2016 student reporters: here they are! Since 2010, the team of Student Reporters has been sponsored by the initiated institution ATSAF e.V. that takes care of drawing the 12 team members from many different European Universities. They come from all around the world: Europe, Africa, North and South America, Asia! 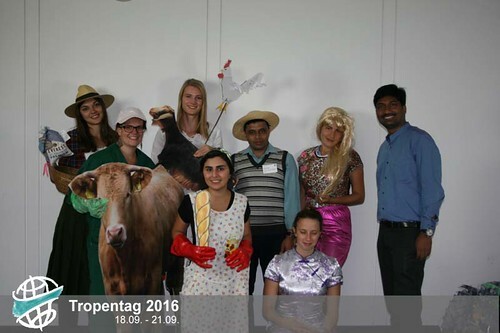 The team is in charge of spreading the conference material online in form of articles on a multi-author blog platform and Twitter, Facebook, Flickr, and YouTube, by so doing facilitating the communication within the scientific community and expanding Tropentag’s many voices. Let’s check their introduction video out! Background: There is a rising detachment in agrifood systems as, especially in industrialized countries, the direct experience and contact with farmers is little and the gap between consumers and producers is high. Because of little knowledge about agriculture, there is an increased importance of second-hand sources like mass media communication about farming. Unfortunately, the stereotypic representation on the media with inherited values and pictures of family farming often distances groups further. The goal: Challenging media perspective of farmers with several practical methods on public conferences and seminars. An innovative new approach to discovering power relations and problems derived from different cultural and social backgrounds. Conduction: Setting up a studio -> selecting costumes –> taking pictures -> talk and reflect about it.